Xiaomi Redmi Mi A1 users get ready for an official update of android Oreo. Yes, xiaomi has announced on their twitter account that they will soon release the update for Redmi Mi A1 users. But in order to update to Oreo 8.0, a user must have been running the latest December update (7.12.19). However, users will get an official update package and will be notified via notification. It’s a quite remarkable thing that xiaomi is currently leading the Indian market and this is due to their under budget phones and good service. This is not new for Indian users that the users were curious about the update and xiaomi is going to full fill that by releasing an update soon. However, xiaomi also launches new featured phones almost every month. So that users will stay up to date with new features + new UI. As far as the android Oreo update is concerned, you are gonna get picture-in-picture mode, bundled notifications, plenty of UI tweaks, and fast charging support in it. This is not all, there are many other small features. When will Xiaomi Redmi Mi A1 users get android Oreo 8.0 Update. Further, it may take some time to reach android oreo 8.0 update to all the Mi A1 phones. 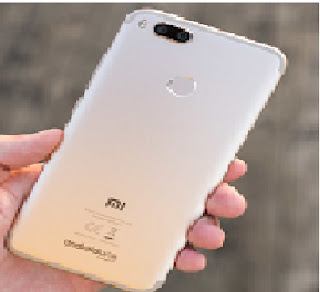 However, in xiaomis tweet they said we are We’re ending the year with an O! #MiA1 as we are rolling out android oreo 8.0 update. What are the major differences between Android Oreo and Android Nougat. Also with respect to visual, There is no such a big difference between android nougat and android Oreo. However, there has been some improvements. Also it’s been considered the safest and the feature rich operating system. It also has a feature which gives good audio over the Bluetooth. Its UI is also awesome and has the size of the notification bar and icons very good. If you are looking for a perfect operating system then at present it is none other than Oreo. At the very first sight I personally found it good to use as there are no bugs at all. User Interface is awesome, Screen looks dynamic. Over all Oreo looks perfect for a smartphone user. ← Microsoft launched garage favorites screen lock android app.